Remember, many of these scans (like the one below) are quite large, so you'll need to click them to view full-size. The aftermath of the Super C.D. cancellation is analyzed here. 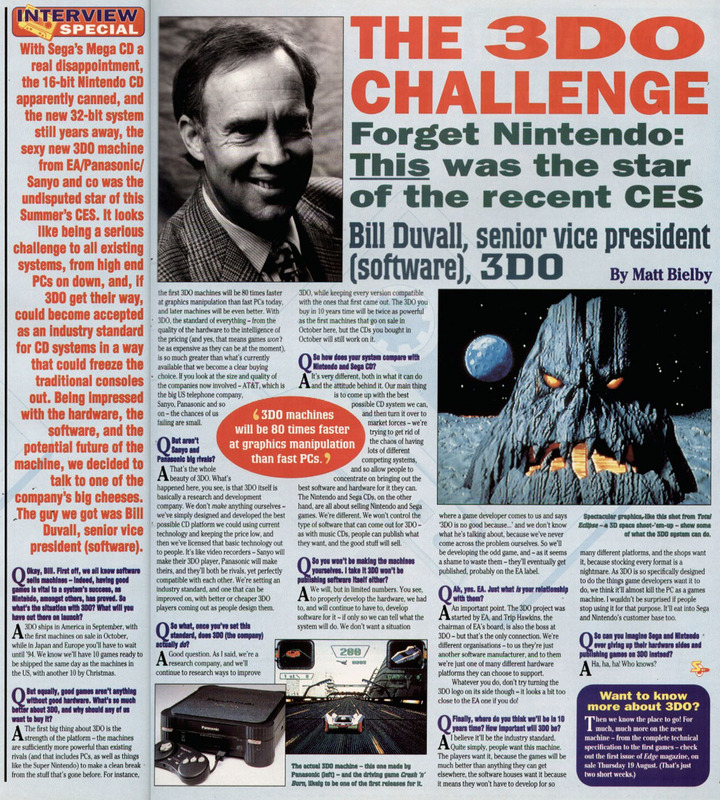 It's funny - in the whole of video game history, Nintendo has never actually had a C.D. based system. 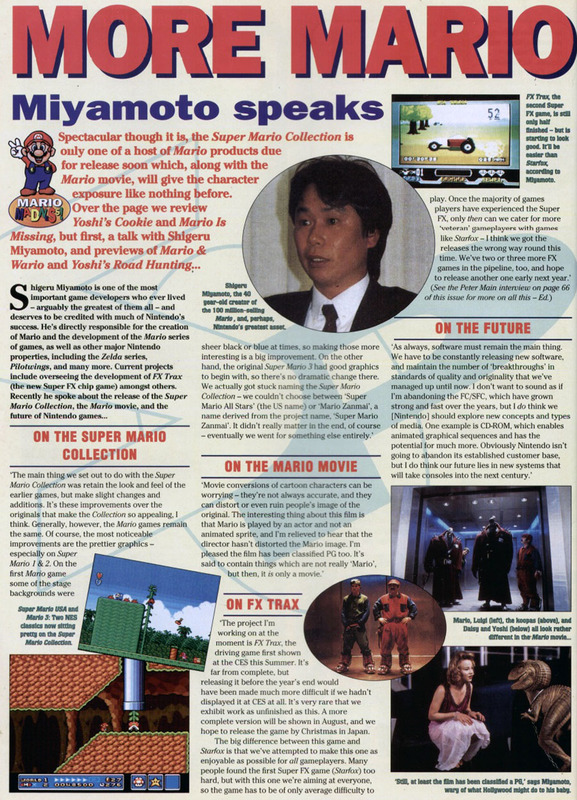 Ahaha, look how young Miyamoto looks! Even before its release, it sounds like he was unhappy with the Mario movie. Peter Main used to be a big-wig at Nintendo of America. 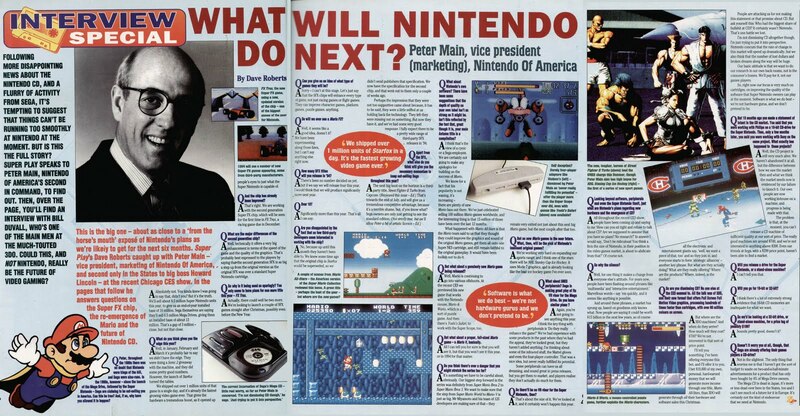 He says that a Mario FX would be "a good idea." I wonder if Yoshi's Island had started development at that point. As awesome as the Super FX chip was, it was apparently just too expensive for development houses to justify using. 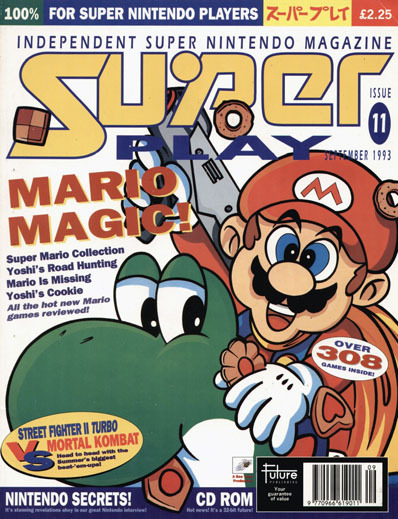 There was Stunt Race FX, Vortex, Yoshi's Island, a port of Doom and a couple of other forgettable titles. That's all the games that included the chip after this interview. And here was the amazing new technology that was going to reinvent the console gaming market: the 3DO! 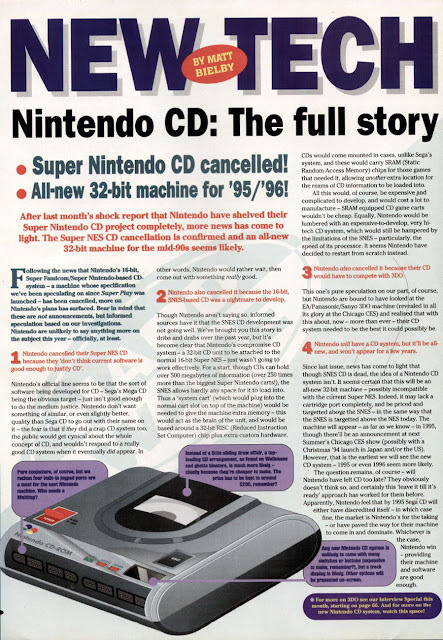 I've got to give credit where it's due, it was an interesting idea; make a gaming console "standard" that different companies could license out. As it turns out, the machine was way too expensive and just didn't have the games.